Mumbai: In March 2006, when M.D. Mallya, an executive director of Oriental Bank of Commerce in New Delhi, took over as chairman and managing director of Bank of Maharashtra in Pune, the bank’s stock was trading at Rs30. It dipped to Rs18.80 soon after the bank declared its result for the quarter ending in March 2006, posting a net loss. The stock closed at Rs76 on Friday at the Bombay Stock Exchange. Bank of Maharashtra is out of the woods now. Largely considered a regional bank focusing on Maharashtra, the small public sector bank is now getting a facelift to get recognized as a national player. With plans of opening up more than 70 new branches across India, the bank wants to make its pan-India presence felt. Out of its 1,362-strong branch network, 940 are located in Maharashtra. It is also planning to open up its first offshore representative office in the Gulf in the next fiscal year. Mallya says the transformation of the bank has not much to do with his personal initiatives. It was a strong team effort. “The focus and leadership was missing. The first thing I did after joining the bank was to tell the employees to identify themselves as the bank’s ambassadors and take personal responsibility for the performance of the bank," said Mallya. “Don’t listen to even the chairman. Do what is best for the bank. You are the bank’s ambassadors," was the message that Mallya conveyed to his staff. A public sector bank cannot provide much of a monetary incentive to its employees, but there are other sops, which strike a chord with the employees. “Public sector workers still love their organization and feel extremely proud of being a government employee," Mallya said. “It’s not about the fat pay packet that the private banks offer. We have to work within the framework of a government organization. But, I have seen a token of recognition from the chairman or a little pat on the back transforms people’s attitude towards work in a PSU (public sector undertaking)." “I met at least 8,000 of my employees, out of a total employee base of 14,000 and addressed them personally. I found out the bank is an excellent one and can be turned around if a strong leadership is provided," he added. The bank introduced different training programmes for various levels of employees. As part of the human resource development, it set a target based on the 25 parameters on which every employee including the chairman is judged. “We don’t give simply deposit targets to employees. There are sub-targets such as savings and current deposits and number of deposits and so on. Like all others, I have my own targets to fulfil," said Mallya. Mallya admits that it is not always possible to punish the non-performer in a public sector structure. But for a performer, it can be a rewarding experience. He has introduced fast-track promotions for his officers to motivate them. And also plans to give monetary incentives to the performers. The business strategy of the bank has been centred on four factors—developing very strong technology platform, being innovative in introducing the products, offering a range of products and services to the customer, and focusing on customer service. As of September 2009, the bank’s total business (deposits and advances) has gone up to Rs58,000 crore from Rs44,000 crore a year ago. By March 2008, it targets a total business of Rs72,000 crore. “The business per employee has gone up substantially and our credit growth continues to be over 30% while the industry’s average credit growth has slowed down," said Mallya. 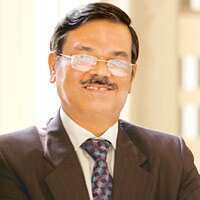 “When I first came to Bank of Maharashtra, I thought God, where have I come!" said a candid Mallya. Today, he has no regret. He is fairly confident of transforming the bank into a national player with a new found focus on fee businesses and strengthening its traditional retail base.